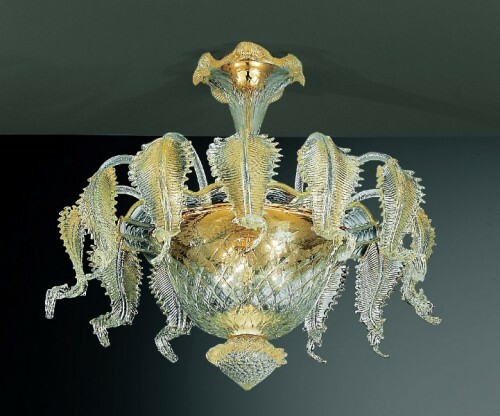 The ceiling and basket glass lamps recall all the ancient tradition of classic murano art. Leaves down, decorated with gold leaf, curls and spirals designed to embellish every style of furniture, every environment. They are compatible with other lines of lighting and special luxury home decor. See also other lines of table lamps and chandeliersmatching the ceiling lights and suspensions. 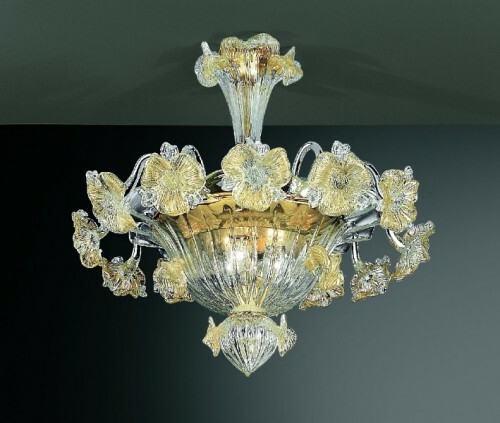 The classic variant against a normal chandelier for your luxury style. Your interior design will suffer a turning point with the furnishing of murano ceiling and basket lamps. The richness and particular working of these lighting objects will give a touch of glamour and elegance to your classic and modern furniture.